Dental crowns in Broomfield can restore cracked or broken teeth with a composite resin that is durable and long lasting. In past years, people could detect right away that you had dental work. 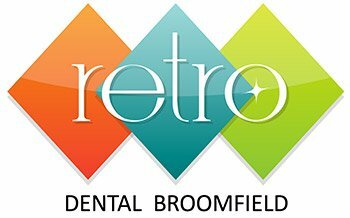 Our goal at Retro Dental Broomfield is to provide dentistry that looks and feels like your natural teeth, thus making it undetectable. Dental crowns are one of the ways we can give you a beautiful smile. Where damage to a tooth is extreme and cannot be repaired with a dental filling, we can provide you with a dental crown that will make your smile reappear and be renewed. When a crown is placed, it not only restores your tooth to its normal size, shape and color, it also strengthens it as well. There are many reasons to choose a crown. For example: to protect a weak tooth; cover a dental implant; conceal a misshaped or discolored tooth; support a tooth with a large filling; or restore a broken or cracked tooth.